TOKYO - Japan's transport minister said Sunday he will not force the struggling Japan Airlines, Asia's biggest airline, into bankruptcy. "We will not crush and liquidate (the airline)," Land, Infrastructure and Transport Minister Seiji Maehara said on a TV Asahi talk show. "It's just impossible." A team of government-appointed corporate turnaround experts was set up Friday to create a restructuring plan for the airline, whose own draft reconstruction plan Maehara called "insufficient." The team will make a recommendation to the transport minister by late October or early November. Officials from the airline and the transport ministry were not available for comment Sunday. The airline incurred its biggest-ever quarterly net loss of 99 billion yen ($1 billion) in the three months to June, and has forecast a net loss of 63 billion yen ($701 million) for the current fiscal year to March 2010. JAL was privatized in 1987. JAL has sought public funds for survival. Its request for taxpayer money came months after it received 60 billion yen ($668 million) in loans from the government-owned Development Bank of Japan in June. In his meeting Thursday with the transport minister, JAL President Haruka Nishimatsu revealed that the airline is short 450 billion yen ($5 billion) through March 2011, money that is needed for debt repayment, according to media reports. Nishimatsu reportedly told Maehara that JAL was planning to cover part of the payment by selling off its in-flight meal catering unit and reviewing company pension plans. JAL's original restructuring scheme also included 6,800 job cuts, or around 14 percent of its workers. The airline has reportedly been in talks on financial tie-ups with several top airlines including Delta Air Lines Inc ., the world's biggest airline operator, its rival American Airlines Inc. and Air France-KLM, Europe's biggest airline group. China has done much to improve its safety record and the performance of its airlines. Dennis William reports on how this was achieved and what’s next. China’s air safety record has improved significantly in the last 10 years alongside major reforms and expansion of its civil aviation industry. From the 1980s through the 1990s China’s air safety reputation was poor, with most of the country’s airlines operating old Russian-made and locally-made aircraft. Persistent pilot errors were common, exacerbated by poor standards of English language which resulted in problems communicating with air traffic controllers outside China which gave rise to misinterpretation of information conveyed. Unreliable maintenance of aircraft and poor government oversight of safety issues all contributed to the situation. Much has been done over the last 10 years by the authorities and airlines, with the result that air safety has risen to a level that today sees China’s fatal air accident rates comparable to those of North America and Europe. Former Minister for the Civil Aviation Administration of China (CACC) Yang Yangyuan played a major role in this transformation. A former management pilot with China Southern Airlines, Yang was ready to admit to mistakes and learn form accidents and incidents involving Chinese airlines. This hard-pushing official made it a point to adopt a more open attitude towards correcting and changing the work attitude of the local officials which he said was of paramount importance for the situation to improve. Some officials did not like the sudden changes that Yang was trying to make, but he managed to convince them it was for the good of the industry and the image of China. agree to closely cooperate with foreign accident investigators. A case in point involving the latter was in November 2004 when a Bombardier CRJ-200 plunged into an ice-covered Mongolian lake, hardly two minutes after taking off in good weather. US and foreign investigators were allowed to visit the crash site within hours of the crash which killed 54 passengers. Investigations revealed that the cause of the crash was wing ice due to failure of the crew to take necessary precautions. The crash prompted Chinese authorities and the International Air Transport Association to sign a cooperation pact which allowed IATA experts to carry out audits on all Chinese airlines and release its findings. The openness of the authorities was a clear indication that China meant business in improving its air safety. The measures have resulted in the accident rate for Chinese carriers dropping significantly – about tenfold since the mid-1990s. There has been no fatal accident involving a Chinese airline since 2004. China’s new openness in revealing and admitting its shortcomings to outsiders was a revelation to foreign safety experts who had previously worked with the Chinese on enhancing aviation safety. CAAC officials took the task seriously and viewed it as its responsibility to take immediate steps to correct the situation. Officials in authority did something akin to heresy for a burgeoning economic power – they threatened to defer deliveries of new aircraft to Chinese airlines until a multi-layer safety roadmap was comprehensive, fine-tuned, implemented and that they were convinced that airline officials were taking it seriously. This was a major change in operations for the CAAC. The authority was set up in June 1949 as the country’s regulatory body for civil aviation. It was changed to the General Administration of Civil Aviation of China in early 2004, then back to its former name. Some 25 companies from the US, ranging from engine makers to avionics suppliers, got together to provide technical training and assistance. Federal Aviation Authority experts were on hand to improve air traffic control designs and inspection procedures. Chinese airline officials had the opportunity to gain work experience with major US airlines and aircraft manufacturers, while French aviation colleges and Airbus had separate agreements to train CAAC and Chinese airline officials. This has gone a long way in enhancing China’s air safety, culminating in Guangzhou-based China Southern Airlines, the largest carrier in China, being awarded the Five-Star Flight Safety Award by CAAC for the best safety record among Chinese airlines. Up to June, the carrier had recorded 14 years and one month of continuous safe flight operations, flying five million hours and carrying 250 million passengers. Li Jiaxiang, CAAC Minister and Deputy Minister for Transport says this is an achievement for the airline and China in international aviation safety. For every one million hours of safe operation, CAAC awards an airline one star. In addition, in March, China Southern passed the rigid IATA Operational Safety Audit. China, through the CAAC, has also in the last 10 years been aggressively putting reforms in place for the airline industry to improve the airlines’ management and operations in an effort to turn loss-making carriers into profitable ones. Reforms started in 1978 and have been slow to be implemented by the authorities, but the programme has now moved into top gear. In June 2001 the airline industry was consolidated with the nine state-owned carriers grouped into three groups with each headed by one of the big three – Air China, China Southern Airlines or China Eastern Airlines. With the consolidation the three carriers were also allowed to evaluate and make their own decisions on the aircraft type that they wanted to acquire. Prior to this, CAAC was in full control of the type of aircraft airlines could operate or acquire. CAAC would order the aircraft and deliver the equipment to the airlines that needed the aircraft. Under the reform exercise, smaller loss-making airlines owned by provincial governments were acquired by the bigger carriers to avoid being pushed out of the market. The aim was to reduce the number of airlines competing and turn the red ink into black. Since consolidation the big three have gone a long way in terms of network and fleet expansion. Losses have also turned into profits, with better management of the airlines. While many major airlines around the world have reported losses due to high oil prices, the big three Chinese carriers have posted profits in the first six months of this year, although the second half of the year is proving less satisfactory. Air China had the highest with 1.28 billion yuan (US$175.34 million), China Southern reported 848 million yuan and China Eastern achieved 41.62 million yuan. China Southern, which joined the SkyTeam global airline alliance last November, is the biggest carrier operating 342 aircraft and over 100 aircraft on order, including five Airbus A380s and 10 787-8 Dreamliners. The carrier started operations in 1989 and was listed on the New York and Hong Kong Stock Exchanges in June 1997. As part of the consolidation of the airline industry, China Southern acquired China Northern Airlines and its subsidiaries Beiya Airlines and China Northwest Airlines and China Xinjiang Airlines. China Southern was ranked fourth by IATA last year in terms of the number of passengers carried - 56.52 million. Already operating a wide international network, the carrier was due to launch Guangzhou-Moscow flights in October, to be followed by Beijing-Detroit and Beijing-London in March, and Guangzhou-Vancouver in July 2009. The carrier is owned 50.3 per cent by China Southern Air Holding, Hong Kong and non-China investors. It has a workforce over 35,100. With a fleet of 232 aircraft, China Eastern is owned 61.64 per cent by the Chinese government, publicly held H shares 32.19 per cent and publicly held A shares 6.17 per cent. After failing to offload 24 per cent stake to Singapore Airlines (SIA) and the Singapore Government’s investment arm Temasek Holdings following objections from shareholders, the Shanghai-based airline’s plan to seek a strategic partner remains unchanged. According to China Eastern’s vice president Li Jun, the airline needs to enhance the management of its operations to be prominent in the highly competitive airline business especially in international markets. The carrier still sees SIA as an ideal strategic investor, but this is as far as it goes. “The only way to move forward is to have a strategic investor,” Li says. China Eastern is currently looking at ways in which it could co-operate with Shanghai Airlines and Taipei-based Eva Airways. Shanghai Airlines is one of the fastest growing and most profitable Chinese carriers. China Eastern has acknowledged that the government was discussing the possibility of merging it with Shanghai Airlines. China Eastern president Cao Jianxiong says, however, that the talks are at government level and not between the two carriers. “We have no plans to merge with Shanghai Airlines,” Cao points out. China Eastern is making a profit on domestic operations but is losing money on most international routes due to low yields. It plans to order 40 A320s this year to meet expansion needs but has ruled out the possibility of acquiring the A380. Air China started operations in July 1988. The formation of the carrier was the result of the government’s decision to split the operating divisions of the then CAAC airline into six carriers. The other five are China Eastern, China Southern, China Northern Airlines, China Southwest Airlines and China Northwest Airlines. On 15 December 2004, Air China was listed on the Hong Kong and London bourses. It operates a fleet of over 240 aircraft and has a further 146 aircraft on order including 15 777-300ERs and 15787-8 Dreamliners. Air China became a member of the Star Alliance in December 2007. Star Alliance started courting Air China in 2001 but CAAC was the stumbling block then. At the time CAAC said it did not see how the carrier could benefit from joining the alliance. The flag carrier is expected to continue to play an important part in China’s ongoing plans for further consolidation. A proposed merger between Air China and China Southern was blocked by CAAC in September 2000, with the regulatory body citing competitive reasons. Grand China Air - a merger of Hainan Airlines, Shanxi Airlines, Chang’an Airlines and China Xinhua Airlines - is the fourth largest Chinese carrier. It was formed in November 2007 with a registered capital of 3.09 billion yuan (US$423.28 million) using Beijing as its hub to penetrate the international market and Haikou Meilan International Airport (HMIA) to expand its domestic operations. The carrier launched thrice weekly services to Seattle on 0 June using A340-600s, three of which the airline has leased from ILFC. It will introduce flights to Chicago and Newark next year after it starts taking delivery of its 787-8s, of which it has eight on order. The carrier’s other international destinations are Brussels, Toronto, Berlin and Budapest, while its domestic network covers over 500 routes. The rights for international flights secured by Hainan Airlines have been transferred to Grand Air China. The airline operates a fleet of 133 aircraft and has 166 on order. The Hainan provincial government holds 48.6 per cent in Grand Air China, Hainan Airlines Group (HAG) 32.8 per cent and Soros Fund Management LLC 18.6 per cent. The latter is owned by US financier George Soros. Shanxi, Chang’an and China Xihua, which were loss-making airlines, were acquired by Hainan Airlines in stages in 2002 and 2003. Using HMIA as its base, Hainan Airlines started operations in October 1989 as Hainan Province Airlines and was renamed Hainan Airlines in January 1993. In 1998 Hainan Airlines became the first Chinese carrier to own shares in an airport when it acquired 25 per cent stake in HMIA. HAG has recently signed an agreement with local firm Qian Tang Aviation Group to set up a new joint venture domestic airline. It will start operations next year. To be named Qian Tang Air, the airline will be based in Zhejiang initially operating with three A320s. The carrier hopes to capitalise on Zhejiang’s economic growth to expand its operations. Shanghai Airlines plans to concentrate operating as an independent airline using Pudong International Airport and Hongqio Airport, both in Shanghai, as its hubs. The fifth biggest carrier in China, the airline has been accident-free since it started operations in 1985. With a fleet of 53 aircraft, the airline has firmed up plans to expand to 100 by 2010. Shanghai Airlines hopes to secure the rights to launch flights to Seattle, Washington DC and Los Angeles next year using 787-8 aircraft, of which it has nine on order. The carrier abandoned plans to fly to Hamburg, Vienna and Zurich this year, but will revisit the plan when market conditions improve and it is more feasible, says an official. “With the high fuel price and weak market, it does not make business sense to operate these routes as yet,” the official adds. Shanghai Airlines was admitted as the 19th member of Star Alliance on December 12 2007. It set up Shanghai Airlines Cargo with Taipei-based Eva Air in 2006 operating a fleet of three MD 11Fs and two 757Fs. Meanwhile, US-based Mesa Air Group is looking into the possibility of selling its stake in Kunpeng Airlines, a regional Chinese carrier, to its partner in the joint venture airline, Shezhen Airlines. Kunpeng, which has been operating at a loss, has indicated that it will move its base from the Xi’an International Airport to Xinzheng International Airport in Zhengzhou, north China, although no date has been fixed. Kunpeng operates five Bombardier CRJ200s leased from Mesa. The lease will only continue should Mesa succeed in the sale of its stake. Kunpeng has ordered 100 ARJ21-700s and four Embraer ERJ 190s. While low-cost airlines have been accepted and are thriving around the world, it is considered a risky business in China, which is still very conservative. China is a robust market and aviation has expanded rapidly, linking the country to more destinations. Since 2005 alone, 29 new airlines have surfaced. One of these is Spring Airlines, whose motto “Making flying affordable to everyone in China” gives the impression that it is a LCC. It is not a LCC, although it operates like one, restricting passengers to 15kg for checked baggage. LCCs face a major obstacle in China that is not found in many other parts of the world - to book a flight a passenger needs a credit card and although people have credit cards in China, they cannot be used online in the country. Another problem is that LCCs do not have access to big international airports in China like their counterparts in Malaysia, Thailand and South Korea. Currently there are no LCCs in China. Several companies had plans to set up LCCs as early as 2005, but their plans were thwarted by the conditions laid down by the authorities. The authorities wanted to dictate the routes that LCCs could operate and the fare structure. This would have gone against the principles of reforming the airline industry. An official at the MOT, Zheng Bao says that a lot of progress has been made reviewing the reforms for LCCs including “harmonising the transport system”, although he declines to provide details. Okay Airways, which was launched as a LCC in 2005, failed miserably due to the stringent conditions imposed by the authorities. Full service airlines had also complained that they were facing unfair competition due to Okay Airlines’ low pricing. Okay Airlines was re-launched as full-service carrier a year later. A bigger threat to local airlines will surface when the high-speed train service is offered in 2012. China is investing 77.4 billion yuan (US$10.6 billion) in the construction of 16 high-speed rail tracks. Construction, which started in November 2007, will be completed in stages over the next 11 years. The tracks will connect provincial capitals with the major cities and towns as well as the manufacturing hubs in the Yangtze and Pearl River regions and the Bohai Sea. When construction is completed in 2019, China will have a total of 12,000km high-speed rail tracks. The 1318km long Beijing-Shanghai high-speed rail track is being constructed under separate funding. The track will allow speeds of up to 300km per hour. When the Beijing-Shanghai service is commissioned in mid 2010 it will reduce travelling time between the two cities from the current 13 hours and 10 minutes to four hours and 45 minutes. Flight time between the two points is three hours and 15 minutes. The high-speed train service will change the landscape of air travel in China. In South Korea and Taiwan it is already evident that high-speed train services have changed the landscape of air travel, resulting in surplus aircraft for the airlines operating domestic flights. By 2010 China will have 190 airports in operation. According to CAAC statistics, China’s air traffic had an average 18 per cent growth since 1980, almost triple the country’s GDP growth rate and also triple the world’s average growth rate. Boeing, meanwhile, has forecast that China will need 3,400 new aircraft by 2026. Currently there are 1,104 aircraft operating with about 36 airlines in the country. But despite strong growth in recent years, clouds are on the horizon for the Chinese airline industry. The second half of the year has seen a sharp decline in traffic and profitability for many of the country’s carriers, with the much-anticipated boom in traffic following the Beijing Olympics failing to materialise. Air China, for example, has warned it is on course for a big third-quarter loss which will most likely result in a loss for the full year. Last month China Eastern Airlines also reported a loss for the third quarter – a net loss of 2.33 billion yuan for the three months compared with a net profit of 976.4 million yuan for the same period a year ago. The result comes on the back of falling traffic attributed to the financial downturn and not helped by strict visa restrictions required for foreign nationals. The Chinese Government has yet to respond to the changing airline marketplace and airline requests for assistance. GENEVA - World airlines will lose $4.7 billion this year due to the economic crisis, while revenues will drop by more than after the Sept. 11, 2001 terrorist attacks in the U.S., a major industry association predicted Tuesday. Revenues are expected to fall by $62 billion, or 12 percent, to $467 billion, the association said. The 2001 attacks in the United States had a major impact on air travel. Industry revenues fell about 7 percent, or $23 billion, from 2000 to 2002. The 2003 outbreak of Severe Acute Respiratory Syndrome in Asia also led to a major decline in air travel, especially in the region. Running counter to the trend in the outlook is North America, where carriers are expected to deliver the best performance with a combined $100 million profit for the year, the association said. "A 7.5 percent fall in demand is expected to be matched by a 7.5 percent cut in capacity," IATA said. "Despite the worsening economic conditions, this is relatively unchanged from the earlier forecast of a $300 million profit." U.S. carriers will benefit from having cut unprofitable routes and avoided stockpiling fuel while prices were high. Despite facing difficult times ahead, IATA chief Bisignani said the airline industry would not be asking for bailouts. Instead, he called on governments to stop increasing airline taxation, much of which he said was being used to fund the banking industry rather than the environmental projects it was supposedly earmarked for. IATA, which represents 230 airlines worldwide, said passenger traffic is expected to drop by 5.7 percent over the year. Cargo demand will decline by 13 percent. "Both are significantly worse than the December forecast of a 3.0 percent drop in passenger demand and a 5.0 percent fall in cargo demand," it said. Bisignani said losses would have been even larger without the fall in fuel prices in recent months. IATA also revised upward to $8.5 billion its forecast losses for last year. The previous estimate was $5 billion. "The fourth quarter of 2008 was particularly difficult," with carriers reporting a very sharp fall in lucrative premium travel and cargo traffic, it said. The Asia Pacific region is the hardest hit. It is expected to post losses of $1.7 billion, compared with the previous forecast loss of $1.1 billion. Europe's carriers are expected to lose $1 billion in 2009, and Latin America is expected to see traffic plunge by 7.8 percent. African airlines are expected to lose $600 million, compared with 2008 losses of $100 million. The Middle East will continue to see a 1.2 percent growth in demand, well off the double-digit increases of recent years. IATA chief economist Brian Pearce told reporters in Geneva that plane deliveries from Boeing Co. and Airbus are expected to tail off to 700 a year by 2011 as airlines delay and cut back on orders. Last year, deliveries from the big two aircraft makers totaled 1,100. IATA chief Bisignani also renewed his call for airline ownership rules to be relaxed, saying that consolidation was the only way forward for an industry that has long been starved of outside investment. TORONTO, ONTARIO - Editor's Note: There Is a Photo Available With This Release. One hundred years after the first manned flight in Canada, Canadian aviation history again will be made when an Emirates airline Airbus A380 lands at Pearson International Airport in Toronto on June 1, 2009. The airline's double-decker aircraft will be the first to enter the Canadian market. "We are extremely pleased to provide the A380 for our Dubai-Toronto service, which has had consistently strong demand since the three-times weekly route was launched in October, 2007," said Emirates President Tim Clark. "In fact, the demand has been so high it will only allow Emirates to address some of the unmet need of the Toronto market," he added. "The launch of the Dubai-Toronto A380 service means we will continue to invest in Canada, one of our most important markets. Our inaugural A380 flight to Toronto comes just after the hiring of Emirates' 500th Canadian employee. Our Canadian employees are in Canada and Dubai in positions ranging from management to pilots to cabin crew and engineers," Mr. Clark said. "Despite the current economic difficulties, this is good news for the Canadian economy. We believe you need a long-term view. By adding this new ultra-efficient aircraft to Toronto, we are increasing trade and tourism capacity, but the three flights a week restriction remains a disappointment. We believe Toronto needs a daily A380 service and progressively, a second daily service with an aircraft like the 777," he added. Dubai has been one of Canada's fastest growing export markets in recent years and Emirates has been lobbying for additional access to Toronto for a decade. Emirates has also indicated its interest in providing direct flights from Dubai to Calgary and Vancouver given the serious potential it sees for those markets. The airline remains hopeful that the Canadian government will allow additional service to Canada to meet the demand for passenger and cargo traffic. This request is consistent with the government's Blue Sky policy on air liberalization, supported by several provincial and municipal governments and dozens of business and tourism stakeholders across Canada. "The inaugural flight represents a significant milestone for Emirates' Toronto-Dubai service. Passengers are in for a treat when they fly on the Emirates A380. The aircraft features shower spas in the First Class cabin, an onboard lounge and our services include an extensive menu of multi-course meal options, created by top international chefs as well as our award-winning inflight entertainment product "ICE", with over 1200 channels of entertainment, sms and email facilities as well as seat-to-seat calling," said Nigel Page, Emirates Senior Vice President, Commercial Operations The Americas. Emirates' A380s have a range of up to 15,000 kilometres and offer better fuel economy per passenger kilometre than most hybrid passenger cars. The A380 is also quieter - both inside and outside of the cabin - generating less than half the noise of other aircraft on take off. The aircraft represents the latest example of innovation and technology from a company that has already won hundreds of international awards for in-flight amenities and services. When Samantha Lazzaris saved up for a holiday halfway round the world, she was careful about choosing the perfect destination. However, it seems her travel agent exercised a little less care. Instead of arriving at San Jose airport in Costa Rica, Central America, her plane landed in San Juan on the Caribbean island of Puerto Rico 1,300 miles away. It was only when she got into a taxi that she realised there had been a mix-up. She said: 'I asked the taxi driver to take me to the hotel I'd booked, but he looked at me in amazement. 'He was speechless then laughed and said, "This is not Costa Rica. It's Puerto Rico". Miss Lazzaris, 33, an alternative therapist from Bristol, claims staff at a branch of Thomas Cook in the city used the wrong airport codes on her Instead of entering the code for Juan Santa Maria in San Jose, Costa Rica, which is ' SJO', staff incorrectly entered 'SJU', the code for San Juan in Puerto Rico. But because her e-ticket listed only the codes and not the destination, she says she was oblivious to the fact that she had boarded the wrong flight. She began her trip last month by flying from Heathrow to New York, where she thought she was boarding a connecting flight to Costa Rica. Travelling alone, she had planned to spend 16 days trekking in the jungle, relaxing on the beach and doing some work for a local charity. But the misrouting cost her more than two whole days of her break. She was also forced to spend an additional £800 on flights to her intended destination via Miami and spend a night in the airport there. When she contacted travel operator Thomas Cook from the airport and asked them to pay for the extra travel she claims she was confronted by an officious 'brick wall'. Costa Rica (left) is the jewel of Central America, while US-owned Puerto Rico lies 1,300 miles away in the north-east of the Caribbean Ms Lazzaris said: 'What I realised from all this is that no one listens to you, people are on auto-pilot. 'They told me I had signed the terms and conditions of the legally binding contract for the itinerary and therefore was accepting them. 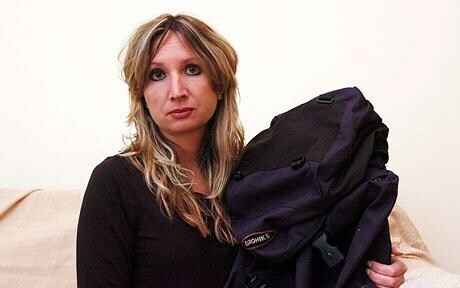 'I was very distressed as I was a solo female traveller at an airport late at night which is very unsafe. Chicago: As several European airlines talk about mergers and acquisitions to create bigger and more resilient global networks, the question on a lot of minds is: Will merger talks in the U.S. airline industry begin again? The answer is likely to be yes in an industry that clearly has excess capacity, is adding surcharges despite a retreat in fuel prices, and is facing international competitors that are expected to consolidate in the coming year. "As we are in a recession that is becoming worse, there is going to be an impact on air travel," said Bruce Zirinsky, a bankruptcy attorney at Cadwalader Wickersham & Taft. "There is already shrinking demand and if that continues, it is fair to say we will see more consolidation." For some of the world's biggest airlines, it is a question of clout. The carrier with the strongest international route system often wins the biggest chunk of the lucrative corporate travel market. International business travelers, who pay top dollar for flights, are an increasingly valuable market for airlines. "Some, like AMR Corp., face the prospect of going from the No. 1 to the No. 3 network in the U.S., with the loss of interest by high-paying corporate accounts that goes with that," said Robert Mann, an airline consultant, referring to the parent of American Airlines. American Airlines lost its status as the world's largest airline this year when Delta Air Lines bought Northwest Airlines to take the top slot. Additional pressure on American comes from a strategic alliance announced this year by its rivals United Airlines and Continental Airlines. Other sizeable U.S. airlines that could potentially be involved in mergers are US Airways, Southwest Airlines, Northwest Airlines and Jet Blue Airways. Across the oceans, a wave of merger talks is gathering force. British Airways is in talks with Qantas Airways of Australia about a merger while also holding parallel talks with Iberia Líneas Aéreas de España. A partnership among those three airlines would create the world's largest carrier. Virgin Atlantic, which is interested in buying British carrier BMI, said last week that it was in talks with its majority owner, Lufthansa. Other recent consolidation moves include Ryanair Holdings's bid for Aer Lingus and Lufthansa's agreement to buy Austrian Airlines. Efforts to increase cash flow and decrease capacity is likely to bring U.S. carriers back to the discussion table in 2009. But analysts cautioned that limited access to credit markets to finance deals might keep mergers from happening. "Following a year of operating weakness characterized by extreme volatility in jet fuel costs and a steady erosion of air travel demand in a deepening recession, U.S. airlines face another year of intense cash flow uncertainty in 2009," said Bill Warlick, an analyst at Fitch Ratings. "Attention has now shifted to the management of an increasingly precarious supply-demand relationship that will force airlines to once again monitor scheduled capacity plans closely," he added. U.S. legislation restricts foreign ownership of U.S. airlines to 25 percent or less of voting stock. Even though political opposition to foreign control of U.S. carriers remains strong, many industry experts and analysts expect some easing of the restrictions in 2009. The first phase of the international agreement called "open skies" took effect in March and replaced restrictive treaties dating to World War II. It allows airlines based in the European Union or the United States to serve any route between them for the first time. But EU states have threatened to scrap the deal if Washington does not agree by 2010 to a second phase of the agreement, which would allow foreign airlines to buy more voting rights in U.S. carriers and permit them to operate their own U.S. services. "I think you will see a reduction in foreign ownership restrictions that will allow for greater cooperation between U.S. and foreign carriers and help sustain competitiveness," Zirinsky said. "It could open up the doors for mergers of U.S. and foreign airlines." Murmurs of consolidation have long been background noise in the U.S. airline industry. Serious talks between any two major carriers tend to spur discussions between other potential partners that do not want to be left out of a merger wave. Industry analysts say they now expect interest in consolidation to increase in 2009 after the transition to the Democratic administration of President-elect Barack Obama. Canadian airlines are scrambling to meet a government-mandated policy that says disabled passengers who must travel with a personal attendant — including those who are disabled due to obesity — will only be required to pay only one fare. “You’ve dawdled this whole year. Now stop all that bellyaching and get on with it.” That, in essence, is the message Canada’s Supreme Court gave the country’s major airlines late last month. Now, after spending a year trying to weasel out of it with repeated court appeals, Canadian airlines are scrambling to figure out how to meet the January 10th deadline for complying with “one-person, one-fare” policy mandated by the Canadian Transportation Agency (CTA). It is groundbreaking legislation some hope — and others fear — may spread to the United States and beyond. So pay attention. Under the new rules, applying only to domestic flights, Air Canada, Air Canada Jazz and WestJet cannot charge more than one fare to persons with disabilities who cannot fly without the help of an attendant. Few people will take issue with that. What some folks are taking issue with, however, is the part of the ruling that also promises a complimentary second seat to passengers who are “determined to be functionally disabled by obesity.” But what exactly does that mean? After spending a few hours chewing the fat about the meaning of this phrase with travelers, obesity experts, airlines representatives and others, one thing is clear: Nothing is clear. Especially, when it comes down to passengers seated — or trying to get seated — on an airplane. “No other country in the world has told airlines to do this,” WestJet spokesman Robert Palmer said. “We’re in uncharted territory here. We know how to run an airline. But we’re not experts on at what point obesity becomes a disability.” Yet, come January 10th, Canadian airlines will be expected to have it figured out. They’ll have to hurry. Last year when it first issued the ruling, CTA offered to facilitate a collaborative process to help the airlines work out a way to implement the new policy. CTA spokesperson Marc Comeau says only WestJet has met with the agency about a potential proposed screening proposal. But while all the airlines spent a lot of time, energy and money trying to stop the process through the courts, “the clock kept ticking.” Now, like students who have been avoiding that big final paper, the airlines are in cramming mode. How are they doing? Air Canada’s Peter Fitzpatrick sent this curt e-mail: “At this point we have nothing to say on this matter other than that we intend to comply with the new regulation.” WestJet spokesperson Robert Palmer said the airline was “putting its nose to the grindstone,” and meeting with disability rights groups to get input on a plan. “We’re seeking advice and feedback, looking at research and, of course, we have some ideas of our own,” he said. Since that clock is ticking loudly, and because “seatmates of size” is a hot topic, we thought the airlines might want to crib some ideas from a few outside experts. Hard: A traveler would need to take a physical exam from a doctor of the airline's choosing. “Obviously, option 1 is subject to abuse,” Jarvis admitted. “In a tight economy, even thin people might declare themselves to be obese to save money.” And he thinks option 4 would be subject to “consumer backlash and the possibility of invasion-of-privacy lawsuits.” So he expects the airlines will begin with option 2 and move to option 3. Other experts would mix and match the Jarvis options. Adam Drewnowski, director of the University of Washington’s Center for Obesity Research in Seattle, suggests that the extra seats be made available to travelers who bring a doctor’s letter and who have a BMI (Body Mass Index) of 35 or above. (BMI is a measure of body fat based on height and weight. A BMI of 18.5 to 24.9 is considered average.) “A BMI of 25 is considered overweight. A BMI of 30 is obese. A BMI of 35 is medically significant obesity. There can be no argument,” Drewnowski said. She offers a different, even simpler solution: Option 5 — bigger seats for everyone. That’s not rocket science either. Chinese private airline Okay Airways will suspend flights for one month, beginning in mid-December, a company spokesman said Thursday, amid reports the financially troubled carrier is embroiled in a dispute with its controlling shareholders. The passenger flight suspension will begin Dec. 15, Okay Airways spokesman Li Wei confirmed in a phone interview. "It's because our shareholders have conflicting opinions about the business," Li said. Staff at Shanghai-based Junyao Group Co., Okay's controlling shareholder and partner airline, refused comment. Loss-making Okay Airways, based in the northeastern city of Tianjin, and the Junyao Group agreed in March 2006 to share personnel, routes, marketing and managerial expertise as they struggled for a footing in China's intensively competitive air transport market. Relations between the carrier and Junyao have become increasingly rocky. Junyao recently dismissed Okay's president, Liu Jieyin, the official Xinhua News Agency reported Thursday, citing Wang Junjin, who is chairman of both Junyao and Okay. It said that Wang had promised not to cut jobs or reduce salaries during the one-month flight suspension. Flights were due to resume in mid-January, just ahead of the Lunar New Year peak travel period. Okay Airways became China's first private carrier in 2005. The airline has 11 planes and flies more than 20 domestic passenger routes. Its cargo operations are a local partner of Fedex Corp. Faltering demand due to the economic slowdown has stricken all of China's airlines, with several state-run carriers seeking huge bailouts to weather the crisis. But China's handful of private carriers, which all began operations in the past several years, cannot count on such government support. Argentina's lower house of congress approved a bill Wednesday authorizing the expropriation of the country's largest airline from its Spanish owners. Supporters of the measure — which passed 152-84 and now goes to the Senate — said the state must step in to improve chronic delays and flight cancellations that have plagued Aerolineas Argentinas and its subsidiary Austral for years. President Cristina Fernandez's government has determined that the airlines are for "public use" and vows a government takeover, but talks have failed to yield an agreement on their value. Madrid-based Grupo Marsans, which owns the airlines, says they are worth $440 million according to an audit sponsored by Credit Suisse Global. The Planning Ministry claims they are some $833 million in debt — meaning the government shouldn't pay anything. Marsans has said it could appeal to a World Bank arbitration body if the takeover goes ahead before the two sides resolve their bitter dispute. Aerolineas and Austral operate about 80 percent of Argentine domestic flights. British Airways PLC said Tuesday it is in talks with Australia's Qantas Airways Ltd. about a potential merger, sending its shares soaring as it confirmed expectations of consolidation in the hard-hit aviation industry. BA, which is already pursuing a revenue-sharing deal with American Airlines and Spain's Iberia SA, said it is exploring a "potential merger" with Qantas "via a dual-listed company structure." In a brief statement released in response to market speculation, BA did not provide any reasoning for the prospective deal but chief executive Willie Walsh has long advocated industry consolidation, arguing that closer cooperation will help airlines cut costs in the current difficult economic climate. BA, the third-largest airline in Europe, added that its discussions with Iberia on a potential merger are continuing. "There is no guarantee that any transaction will be forthcoming and a further announcement will be made in due course, if appropriate," BA said in the statement to the London Stock Exchange. It provided no further detail on the structure of the potential deal with Qantas but confirmed that talks began in August after it was approached by Australia's largest airline. The London-based carrier's stock jumped after the announcement, closing 12.5 percent higher at 157.1 pence ($2.35). Virgin Atlantic Airways, which has already objected to the BA-American-Iberia tie-up, said that BA was attempting to increase its dominance to the detriment of competition. "One day it's Iberia, then it's American, and now Qantas," said Virgin Atlantic chief executive Steve Ridgway. "The only strategy BA seems to have is to lock-up some of the busiest routes in the world, against the consumer interest." BA and Qantas are already code sharing partners in the oneworld global alliance, which brings together 10 of the world's carriers including Japan Airlines. The confirmation from BA on the talks comes a day after the Australian government revealed that it plans to increase the level of foreign ownership allowed in Qantas, but will not permit a takeover. Australian law currently limits a single foreign holding to 25 percent, while a group of foreign holdings can total 35 percent. A federal government policy paper released Monday proposes lifting the foreign ownership limit — whether by one company or a group of companies — to 49 percent. That would allow Qantas and BA to swap equal stakes in each other. Qantas last month slashed its full-year profit forecast to around 500 million Australian dollars ($316 million), down from an August forecast of AU$750 million. It also said it would cut flights to cope with plummeting demand, despite a recent easing in the oil price. Walsh last month warned that that the industry was still "heading into the eye of the storm," shortly after BA reported a first-half net loss of 49 million pounds ($77 million). Analysts have been expecting greater consolidation in the airline industry after the global economic crisis combined with soaring oil prices earlier this year to severely crimp passenger demand. The International Air Transport Association has reported international passenger traffic declined 1.3 percent in October compared with 2007, following a 2.9 percent drop in September, and forecasts industrywide losses of $2.3 billion this year. Budget airline Ryanair Holdings PLC on Monday launched a new takeover bid for Aer Lingus, seeking to capitalize on labor unrest at its Irish rival along with the country's economic difficulties. BA has already filed for worldwide antitrust immunity from U.S. authorities for a revenue-sharing deal with American and Iberia that would see the trio set prices together and share seat capacity on trans-Atlantic flights. American would be the non-merged member of the BA-Iberia linking. The agreement is the closest alliance the trio can form under strict U.S. airline ownership laws that all but rule out a full merger and follows two earlier failed attempts by BA and AMR Corp.'s American to forge closer ties. Virgin Atlantic claims that proposed deal will seriously damage the competitiveness of the lucrative trans-Atlantic route and increase fares for passengers. But American and BA contend that the partnership will merely allow the trio to better compete with the other major airline alliances, Star and SkyTeam, which already have antitrust immunity on trans-Atlantic flights and a large presence at other European airports. BA and American have failed in the past to win an exemption from U.S. competition laws to work more closely together because of their dominance at London's Heathrow Airport, where the pair have more than half the capacity to and from the U.S.
Walsh has argued that the competitive situation has changed since the "open skies" agreement between the U.S. and the European Union came into force in March, allowing airlines to fly to and from any point in the U.S. and any point in the EU.